6 PM Secretary Howard Schoor calls us to order, says there are three speakers. Mary O Connor—School nurse, Manhattan, integral part of ed., first responders, treat students daily. Responsible for health of student population. Multiple schools are in buildings. This means one nurse responsible for entire population. Can be 2,000 student caseload. Majority voted yes to contract. Part of it allows for head DOE nurse. Means they don’t have to go through DOH. They get one day for PD, Nurses should be allowed CPR one day every two years, deserve to be heard, and deserve contract now, cannot wait. Schoor—Had meeting last week to hear their position on contract. OT/PT, staff nurses and supervisors are combined. OT/PT turned down. Nurses voted 95% yes. OT/PT much larger chapter. Ponzela Johnson—Public health nurse in school setting. 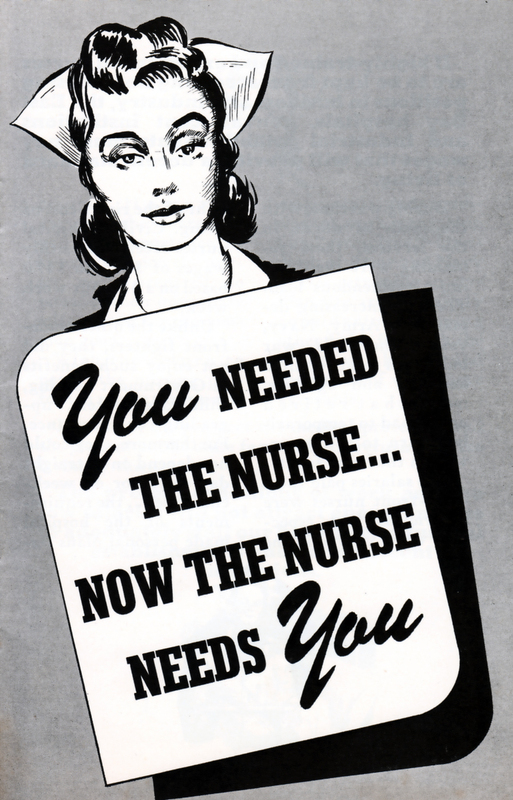 Registered nurses came back two weeks before designated time. Cybershift recently erased hours and won’t pay overtime. 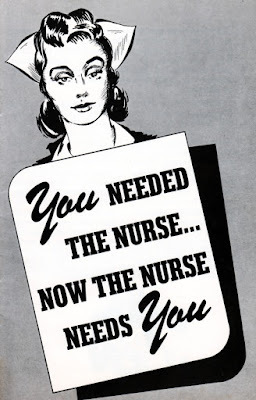 There are many different kinds of nurses. Physical and mental health issues have dramatically increased. Nurses teach students faculty and staff about various health symptoms and treatments. DOE staff nurses are expected to take photos of injuries. DOE staff nurses cannot leave building for 30 minute lunch break. Staff nurses perform public health duties but aren’t paid that rate. There is a nursing shortage and over 370 vacancies, 244 in public schools. Over 90% of nurses voted yes. Nurses want UFT to advocate and actively pursue contract they voted up overwhelmingly. Not sure what’s happening with OT/PT but we want to move forward. Cynthia Bennet—CL staff nurses—More important for membership to voice opinions, Asks nurses to stand. They were clear on what we want. Schoor—Members of chapters that approved contract want it. Staff director’s report—LeRoy Barr--Middle school luncheon took place last Saturday, kids got coats, thanks VP Rich Mantel. Next EB Dec. 3, DA Dec. 12 Happy Thanksgiving. President’s report—Michael Mulgrew--Thanks Rich Mantel. If you never participated you should. Will be elementary event. Among best things union does. Thanks parent leaders for program Saturday in central Brooklyn. Thanks borough office. Politics start again after Thanksgiving. Who will lead Congress? One candidate so far. State budget talks soon begin. We have to implement contract. Will require training to make things work for us. Having voice and power means nothing unless we use it. CL 2 training will deal with this, and we will roll it out. Let’s deal with problems before they start. We have not finalized implementation plan, but will not move without para non-suspension in place. Thanks us and wishes us great Thanksgiving. From now through May, expect full attack on union. Enemies irate over State Senate. Are operationalizing to attack us. We drove State Senate campaigns and they don’t like us. Janus has not gone away. We need to be on the same page, moving union forward. They will run multi-million dollar campaign urging we drop out. Schoor—Will be side letter, not signed yet. Evelyn de Jesus—We have a side letter but haven’t fixed it. Will try and get as many hours as possible. Schirtzer—ICT structure problematic. DOE teacher Facebook page, and a lot of people find model broken. Lack of planning time, PD, support. Special ed. teachers have five preps. Gen. ed. teachers overworked. Would like UFT to organize around this, send survey out. Some schools it works, what can we learn from them? VP Special Ed—We have focus group. Gen ed. teachers not getting PD. We know there are systemic issues, with misuse by principals. Arthur Goldstein—Along with every teacher I know, I’m very focused on fewer observations and getting them in place as soon as possible. The President spoke of this, saying that was important, but we needed to make them meaningful and productive. I wrote of that, calling it The Big Ask, suggesting that it’s a very worthy goal, but hard to implement. The prime obstacle to achieving this is vindictive and abusive supervision. People told me the UFT would never take an unequivocal stance against vindictive and abusive supervision. So I have two questions. Would someone from leadership please stand up and take an unequivocal stance against vindictive and abusive supervision right here right now? Schoor—harassment clause is unequivocal statement. Principals hate it. Evelyn De Jesus—Are meeting internally now, will bring in others. Working on that, Meeting again tomorrow. Will meet with DOE. No one thought we would get that, but we want to get it right. We are working on it. Will keep you updated. PD committees should be strong, and effective on joint training. Schoor—joint training will be important. Supervisors and teachers will hear same thing. Grier Hanson Velasquez—What do OT/ PTs want? Schoor—Have had many meetings. Want parity with speech teachers. Would call for 21K increase in their pay. By our estimate about 75 million. We have pattern bargaining. Would be three quarters of one percent for every UFT member. Tom ?—Would give us parity. Not looking for that in one contract. We get 1500 for MS. We didn’t come close. 22-27 gap of what we retire with and what others do. Glad nurses and supervisors would like to stay. Asks that they do. Was past practice and we want to continue. Gap widens with this contract. Schoor—In 2015 OT/PT got largest raise, and in this they got 500 added to longevity. Big issue for UFT. We will move ahead. In 1995 teachers turned down contract. We had to go back and change some things. LeRoy Barr—Thanks Tom for coming. Have been meeting a lot. Leadership met with them last Friday. Trying to figure this out. We will walk this path with you. Still committed in trying to help chapter. Met with nurses and supervisors. Unanimously wanted us to do all we could to get their portion ratified. Must request all chapters. They took a vote, and 100% said do all you can to get their yes vote ratified. Supervisors also asked for everything we could do to get their contract ratified. Bringing it to this board. We will also work with OTs and PTs. We have to be respectful of all different groups. Barr—Would like to bring motion to this body to push us forward to engage DOE to count their portion of yes vote. Barr—Be it resolved UFT will engage the DOE to see if we can ratify vote for individual chapters that voted to have it ratified—staff nurses and supervisors of nurses and therapists. We are in uncharted waters. OT and PT want us to honor vote. Other two chapters want something different. We have just as much obligation to them. This motion only directs us to engage and do what we can to make that happen. Asks for support. Mike Schirtzer—We heard from Tom and nurses. Nurses want it. On the other hand, Tom said he would like chapters to remain together. Tom—We always voted as a bloc. Should continue to tally. You’re making decision after outcome. Ashraya Gupta—Does this set precedent where they won’t be bargaining unit? Schoor—They will remain one unit. We will re-examine groupings going forward. This is historical precedent. They have a commonality. Problem is as they grew bigger there became inequities. One chapter 2500, one 670, another 70. They are dwarfed by OT and PT. DOE reimbursed for OT PT and bill feds for them. This vote is for this vote only. Gupta—Rises to speak against. Worries about union negotiation together. About solidarity with all our members. OT PT, training and ed. on par with speech teachers. Anyone getting an increase will be at cost to other members. If they’re such a large group, maybe we missed something this summer when negotiating. If we narrow down how we take care of individual members we lose something as a collective. Worries about precedent. Schoor—Employer tried to hire OT and PT in municipal system. Tops out at 70. We now top out at 98. City asks why they should increase when they already can’t get municipal OT PT. Rashad Brown—supports. We heard from members who wanted to move forward. Who am I, as teacher, to pass my contract and speak against them passing theirs? Rich Mantel—Saturday 5th annual Thanksgiving event. Was great. Almost 200 kids. Rashad dressed as turkey. There were tattoos, LEGO. Debbie Poulos made jewelry. Donations were incredible. Two shopping bags full of gloves. Was money, coats, 14K donations above clothing. Will bring left over to shelters and students with high needs. Karen Alford—Saturday December 1st, event for new members. All about wellness. Goal of morning to help with balance, stress, will be yoga, mindfulness, diet. Latter part around creativity. LEGO workshops. Please get word out. Still collecting for toy drive. Wants to make sure kids in temp housing get toys. Please bring donations. We can pick up or you can bring to borough office or DA. There are over 100K kids in shelters. We send leftover toys to them. Kristin LeCastro—D75 collaborated with superintendents. Thanks para chapter. We had two meet the DRs, 8th and 15th. Three more coming up. Schoor—No one believed Egan when he said all those people would win. Did that and bounced Golden. Paul Egan—Eagles were terrible yesterday. Chelsea didn’t play. Ireland played Northern Ireland. Terrible game. Election in NY went well. Marty Golden lost. Was a team effort. We all did our part. NYSUT put in an awful lot of money, a lot of which came to us. Will all be for naught if we don’t repeat this in two years. Census comes and we will redraw maps. In 2020 they will redraw lines, hopefully as contiguous as possible. Lines now are bizarre. In 2020 we need Democrats in charge to draw lines fairly. Board of Elections voting is a disgrace. People locked in until 11. 1 of 10 machines working. People ought not wait 6 hours to vote. President clear charters will come after us because they will be put out of business without GOP to protect them. We need to be ready to push them back. Was a great day, but we must continue. Schoor—In spring will be UFT election. Moves to approve committee. PS--I'm told I missed a question in which Mike Schirtzer asked whether or not the contract addressed the various issues the nurses brought up, and that Schoor replied it addressed some . I catch everything I can but my fingers move only so fast. My apologies for omissions.